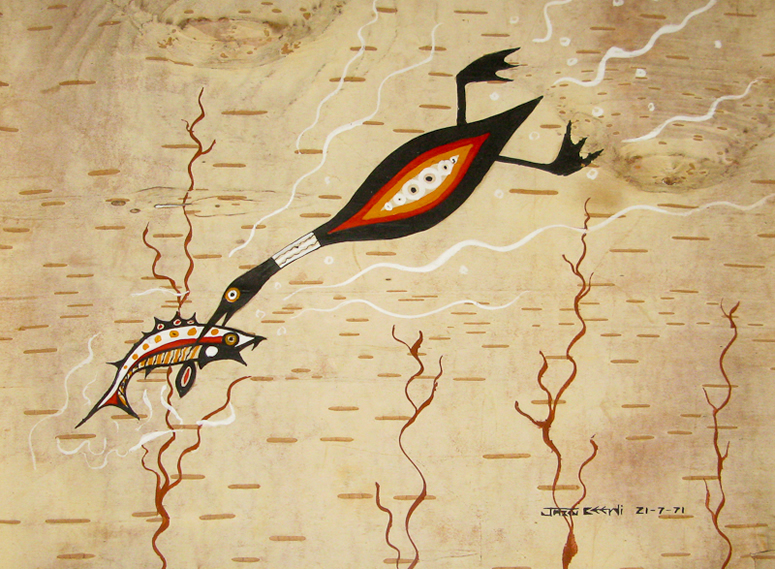 SOLD Desc cription: 21-7-71 acrylic on birch bark 8"x10" behind glass and mat in frame 16"x17". Signed and dated by artist 21-7-71 acrylic on birch bark 8"x10" behind glass and mat. Provenance Washa Gallery, Winnipeg on the back of frame.